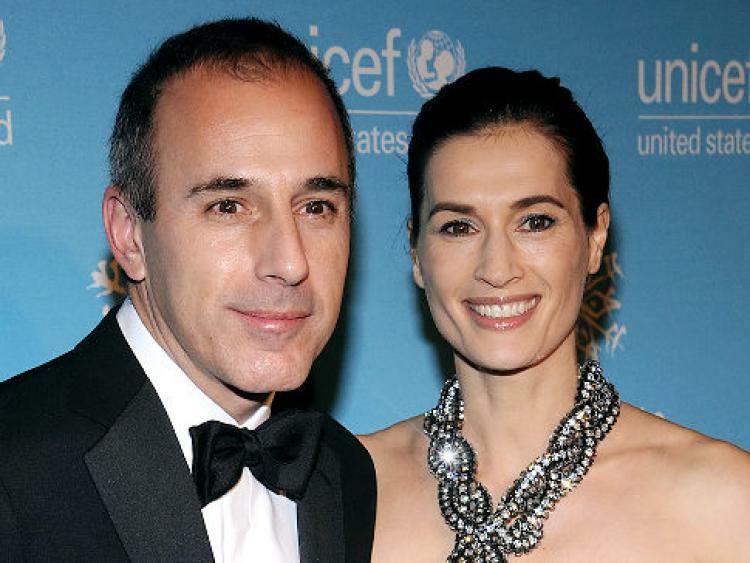 Meet Annette Roque, Matt Lauer wife who filled for divorce in 2006 and has three children. from marriage. Matt Lauer was fired on Wednesday after NBC colleague reported of sexual misconduct by Lauer in the workplace. Lauer, who served as co-host of Today show for two decades long is married to former Dutch model and bore three children with her. Here is everything you need to know about his 19 years of wife Annette Roque and the relationship two shared over the years. In the world when celebrity relation last few years or even months Matt Lauer and his wife managed their relationship for quite long now, a whopping nineteen years. Don’t be quick to think that they had an easy married life. Despite two decades of the relationship, the two suffered worst possible scenario any marriage relationship can go through. However, they got past the tumultuous period and since been together without any complication. Annette Roque and Lauer met on a blind date in July of 1997 set by their mutual stylist friend, Maria Santoro. The first date didn’t go well with them as they parted amicably. They gave another shot a few days later that’s when their chemistry clicked. After five months in the relationship, the couple got engaged. Matt popped up with the proposal with a pear-shaped diamond while the two were in Venice. The relationship took next step after the couple got married in a private wedding ceremony on October 3, 1998, with a few of 100 guests attending the ceremony. The divorce didn’t materialize. Like one time blip, Anette withdrew suit three weeks after filing. Matt and Roque are parents to three children Jack Matthew (2001), Romy (2003), and Thijs Lauer(2006). Annette Roque also known by her professional name as Jade is a former Dutch model. Born in Netherland in 1966, Roque left the Amsterdam at the age of 22 while looking forward to her modeling career. She enjoyed the peak of her modeling career during late 80′ and 90’s. During the time she featured in several magazines which includes J.Crew and Victoria Secret catalogs. She also became trademark name for Revlon Cosmetics.